CLEAN & MODERN STYLING: This spacious dresser and cabinet features clean lines and elegant metal handles for a practical and decorative piece of furniture, sure to enhance any room. PERFECT FOR YOUR BEDROOM: This versatile design will work perfectly in a bedroom as a traditional dresser. 5-YEAR LIMITED GUARANTEE: South Shore is proud to stand behind this storage cabinet with 3 drawers and 1 door dresser with an exclusive 5-year limited guarantee. Shop with confidence knowing your purchase is always covered. Designed with tight spaces in mind, this dresser will give your room a modern look while providing spacious storage for your clothes, accessories, and more. This dresser features 3 spacious drawers and one shelf behind a cabinet door. Behind the cabinet door, 2 storage spaces are separated by 1 adjustable shelf, giving you the personalization you need. This dresser unit features 3 deep drawers, ideal for storing a wide range of clothes, along with two shelves, perfect for storing books or bins of loose, small items. Keep your room tidy and organized with a total of 5 separate spaces to store your belongings, all out of sight. With a solid kickboard, you'll never lose belongings beneath your dresser again. South Shore is proud to stand behind this storage cabinet with 3 drawers and 1 door dresser with an exclusive 5-year limited guarantee. Shop with confidence knowing your purchase is always covered. All our products meets or exceeds North American safety standards and our packaging are tested and certified to reduce the risk of damage during shipment. 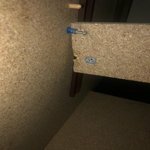 There is a wall anchor kit included in the box to prevent tip-over incidents, thus ensuring your family's safety.. This item is shipped in 1 box, make sure to have a friend with you. Assembly is required by 2 adults and tools are not included. If you have questions regarding this product or need assistance do not hesitate to contact South Shore Furniture 7 days support. This product is made in North America with laminated particleboard. Accessories not included. I purchased this dresser for my 5 year old son. It's seems so far to be very sturdy and should last a while. Only downside so far was it took a very long time for my husband to put together. Other than that it's definitely an awesome dresser no complaints so far. I plan on buying the chest soon because he does need a bit more room. I love this dresser! 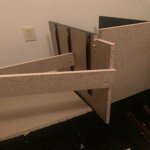 It was easy to assemble and the price was way below what I expected to pay when I started shopping. I purchased it to use as a sideboard in my kitchen for extra storage and for putting my plants on top (it's in front of the window). It looks classy, not at all like a flimsy home assembly piece. It's also very sturdy. I would certainly give it my recommendation. 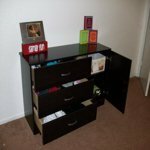 It is a great dresser for the price! It's exactly what you hope for when you buy cheap furniture. It looks better than the picture in the ad, has more storage than expected for the price, is sturdy, and the drawers slide effortlessly and silently. The only downside is that it took 3 hours to assemble. Once it was all put together I was very happy with my purchase! I'm very happy with my purchase because it fits my needs perfectly and the price is killer (in a good way) but a few notes on the dresser... Like another poster said in their review, the color is much darker then the pictures makes it look. That ended up being a plus for me because it matched the other furniture in that room better then I thought it would. Also, it's pretty short. I was a little surprised at how short it was. I guess I would have known that if I cared to figure the measurements provided but like the color it worked out good in the room I have it in anyways (it's for a toddler's room - perfect toddler size. They'll be able to grab things on top of the dresser too.). I don't think I'd elect to use this dresser in anything but a child's room because it's just not big enough (in my opinion) for a teenager's clothes or an adult's. It's pretty small. The assembly instructions seem a little overwhelming at first because you literally have to assemble *everything* but once you get going you'll get the hang of what needs to go where quick. Just do stick to the instructions CLOSELY, my dear hubby thought he'd do it without actually READING the instructions (just looking at the pictures) and ooopps! That mistake resulted in some damage to the dresser facade. Also, not sure if it mentions it in the description but the drawer tracks are not metal nor to they have wheels - it's all cheapy plastic. So you are essentially just lining up the plastic strip that sticks out on the drawer to the plastic track on the inside of the dresser when you first insert the drawer and that's how it glides in and out (once again, no wheels). Right now it's fine and pretty smooth but given my previous experience with this kind of dresser, after a couple years it's going to be less smooth and jam up easily. It does have a stopper piece that prevents the drawer from being pulled out completely so that's good. Lastly, it's really heavy. Like REALLY heavy. Like two people need to carry it or it's not going anywhere heavy - that though might be partly due to the fact the bottom is not flat, it's the unfinished, rough sides of the wood panels which makes it dang near impossible to drag across carpeting. With all that said though I am VERY pleased with my purchase. It works perfectly in the room I needed it for and I think the price is a better deal then other places (I did get it on rollback though). Hope this helped!!! *PS I am uploading 2 pictures with this review. The first shows the assembled dresser. Lighting is bad so it looks black. It's a very dark brown but not black. You can see the color better in the second photo. Also in the second photo the bottom drawer is extended out as far as it'll go. In case you were curious. I ordered this on Hayneedle because they had the best price. I didn't expect a lot because of the price. I put this together in about 3 hours. All the parts were included and everything fit and lined up perfectly. I bought the white finish and it's not great. It's easy to chip. This dresser is worth every penny. It looks great, has a pretty sturdy feel to it. Only complaint was that I was missing parts and I contacted the company and they said they would send an email conformation saying the pieces have shipped. I got the pieces I needed but never the email so I was getting frustrated while waiting for them since I didnt know if I was getting them or not. In short if this looks like the dresser for you and its in your price range get it. I bought this for my new sons nursery. I will also use this as a diaper changing station. It's a little shorter than I expected but since I am 5'3 it works for me. I am pleased with the purchase and I shopped around to different furniture stores, target, kmart, babies r us and this was the best match for us. The drawers are perfect for his little clothes and I love the space that the side door/compartment provides!! The assembly wasn't terrible. I actually managed to put most of it together myself at 8months pregnant. It shipped quickly and arrived nicely packaged. But......I spent 2 nights putting it together with help from husband and once we got it all finished the drawers had to be forced into place and will not open properly. It's still usable but very frustrating. The wood is somewhat distorted and it is noticeable. I was in a pinch for a dresser since my due date is soon so I was not going to take the time to disassemble and send it back. The worst I should have listened to others domt waste your momey it will break within a day or 2 si dissapointed and mad!!! !